With concerns over the “Deflategate” controversy making headlines ahead of Super Bowl XLIX, it appears the fate of footballs for the highly anticipated game will be left in the hands of the Chicago Bears equipment manager. Tony Medlin was picked to secure the game balls for next weekend’s game, according to Kevin Seifert of ESPN.com. Ball boys were reportedly hired before last week's game. "Many aspects of the regular-season process are in place. 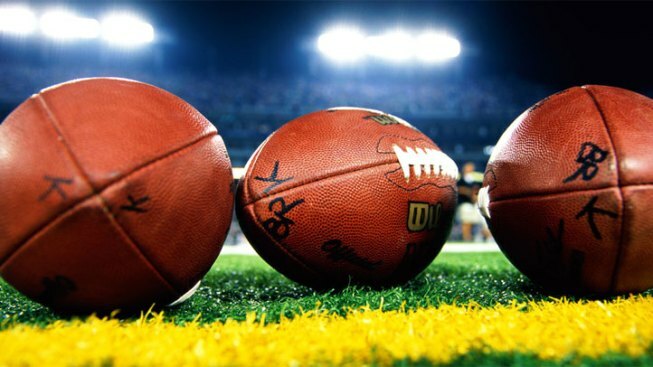 The Super Bowl teams receive balls to work with during practice as per our policies,” the statement read. “The balls are then returned to the league late next week. We would expect that the Competition Committee will review all of these procedures in the offseason." UpdatedBrady on "Deflategate": "I Didn't Alter the Ball"
The NFL is investigating after ESPN reported that the Patriots used under-inflated footballs in Sunday's AFC Championship Game against the Indianapolis Colts. New England Patriots quarterback Tom Brady said he "didn't alter the ball in any way" at a Thursday afternoon press conference. "Everyone's obviously trying to figure out what happened," Brady added. "I was as surprised as anybody when I heard Monday morning what was happening." UpdatedPatriots Coach: "No Explanation" for "Deflategate"
Softer balls are generally considered easier to throw and catch, and quarterbacks, specialists and equipment managers are known to have very individualized preferences in how footballs are readied for games, The Associated Press reported.